To know the version of the game, as it carries complete information about all the development. Also knowing it, you are able to update the game, download, various modifications or just eliminate bugs related to gameplay. On the desktop or through the start menu, select the game and click on its shortcut. Wait for the game to start. Before you is the main page where the "New game" "Options" etc. Look in the lower left corner. There will be written something like this "0.354 version a or version 1.546"
Example: "D:\Program Files\1C\behind enemy lines 2. Brothers оружию\outfront.exe – console 1"
Protocol version is the version of network Protocol. Exe version x.x.x.x (yyyyyy) — x.x.x.x is the version of the game engine, (yyyyyy) is the name of the modification. Exe build is the date and build number with the new updates it is changing. Remember where you installed the main game folder with its files. Then among them find the main shortcut that starts the game. Go into the properties, in this window there will be several paragraphs, click on the window titled "Version". Then you will see info about your game and its version and the release date and installation. Update the version as often as possible, whenever possible, this will allow to avoid problems during the game. To know the version of any installed on your computer program or game is quite simple, this operation will not take you much time. This information can be easily obtained with the help of special programs. 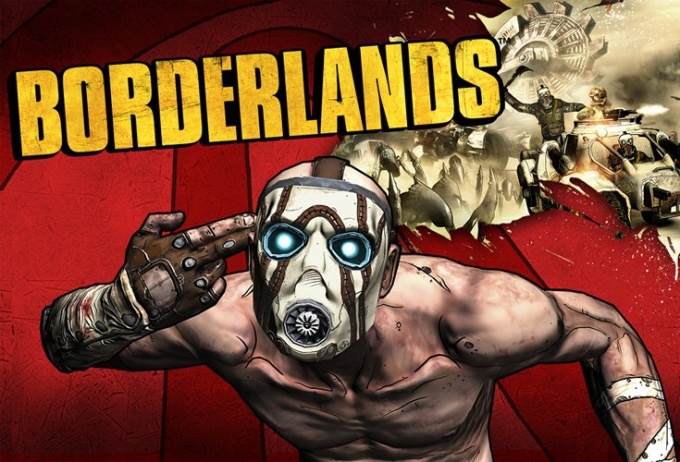 To view the version of the game Borderlands, open the folder with the installation files. Find a text document titled Read Me and view information about the version of the game, it is usually written in this file. Also, this document is easy to find on the disk the program. Review the information in the installation folder, the. exe file. Usually information about the version of the computer game prescribed in the name of the setup file or its properties. Also check the drive where you installed the game to your computer. Carefully read the text on the front and reverse sides of the disk, often there is a version of the game. If the information on the packaging not, try inserting the disc in the drive and in the menu that appears, locate the startup version. Download and install to your computer the program MVSoft PC Information, which will allow you to view games in the computer. MVSoft PC Information works not only with games but also with any other programs, so this app will be handy to use for other purposes. Run the installed program in the main menu viewing system information select the game Borderlands. Please note that you can also use other programs with similar functions. These tools very much, and using any of them you will be able to know the version of your computer game. Always look at the version you've installed the game in a window of installation wizard.